Attention all NYC Rocket League players! Can't make it out to California for the RLCS International Live Finals! 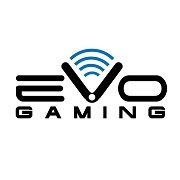 Don't worry here at Evo Gaming we got you covered! Air drag your way to victory on 20 of our new high spec gaming PCs with 144hz monitors, a true LAN experience, no WIFI for you here folks! Don’t have an Rocket League account? No problem, we are fully equipped with 8 store accounts for you to play on! Come as a team or come solo! Price: 15$ Pre-registration!, 20$ at door! Re-energize with a free BAWLS Guarana energy drink, your choice of flavor! Prizes: BAWLS Guarana swag and even more great prizes!